Could you be Corsair’s next Design Engineer? 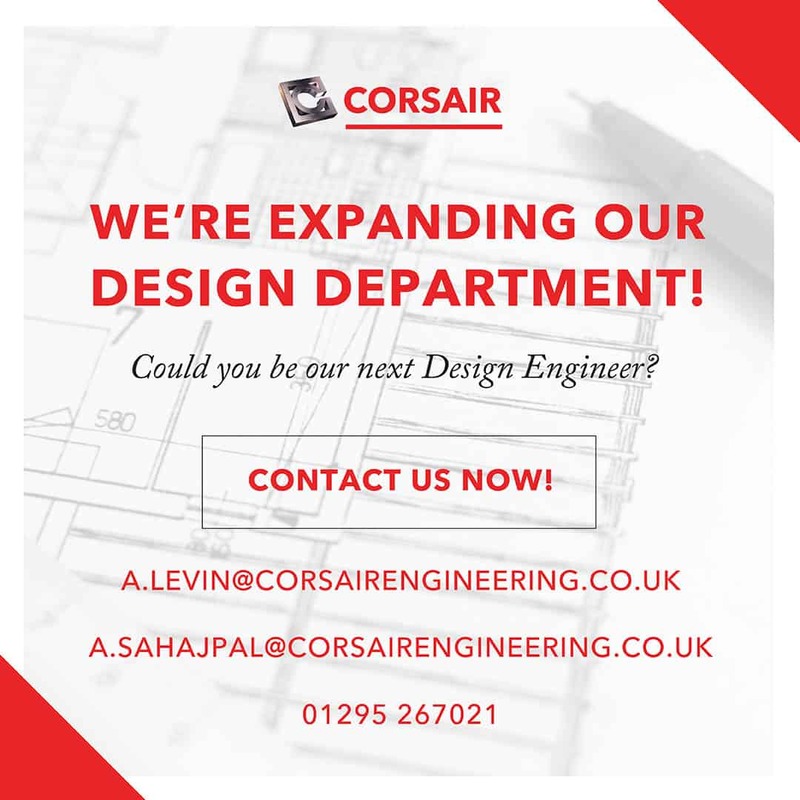 After a busy first half of 2018, and a range of projects completed, Corsair Engineering are now looking to expand their design department. The catering equipment and commercial ventilation manufacturers have recently completed a run of fantastic projects, including work at sites such as the Nordic Kitchen, the Coal Drops Yard at Kings Cross, and the Wimbledon lawn tennis association. Following these completed works and a continued busy period in both their fabrication and Vortex ventilation departments, the Banbury-based firm is on the lookout for two design engineers to join their expert team. Corsair are a genuine manufacturer of commercial catering equipment and kitchen ventilation systems, and so need two keen designers who are looking to advance their career to join their expert and experienced team. The software which they operate on is 2D AutoCAD and 3D Solid works in conjunction with Radan- Radpunch for programming. Managing Director at Corsair Engineering, Arun Sahajpal, said: “Corsair are a growing firm and a great team to be a part of, so if you’re interested in taking the next step in your career then please get in touch with myself or our Operations Director, Adrian Levin. As well as hearing from experienced designers, Corsair are also open to applications from individuals looking to take the first career steps in the form of an apprenticeship. If you think this is the perfect role for you, please contact Arun at a.sahajpal@corsairengineering.co.uk and Adrian at a.levin@corsairengineering.co.uk.